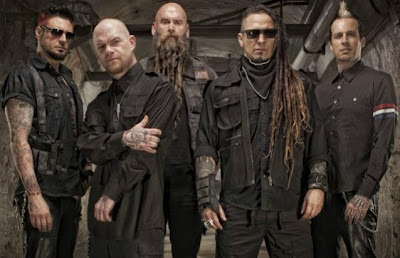 Five Finger Death Punch News: Zoltan Bathory: "I'm really proud of new songs"
Zoltan Bathory: "I'm really proud of new songs"
Zoltan Bathory talked to The Pulse Of Radio about band's new album: "I think we have about eighteen songs, nineteen songs on deck and right now we are… You know, we will figure out if a greatest-hits [collection] comes first or the record comes first. But we have a lot of songs and there are a couple of massive ones that I'm really proud of, that I know that they will touch a lot of people." Bathory also said that the new album will be released early next year.